It seems as though every brand is coming out with a contour and highlighting palette. The most talked about would have to be the Anastasia Beverly Hills Contour Kit and the Kat Von D Shade Light palette. The latter of which I do not own, but really want to get my hands on. Instead of purchasing the Kat Von D Shade Light palette I thought I would purchase the #InstaMarc Contour Powder instead. I had been wanting the Marc Jacobs bronzer for a long time now, but I was waiting to finish up some of my other bronzers before I purchased it. Needless to say, I gave in and purchased this instead even though I have not finished any of my other bronzers (don’t judge me). Fingers crossed I will stop spending so much money on makeup and just try to use up what I have since I’m moving soon and don’t want to move 100 pounds of makeup. 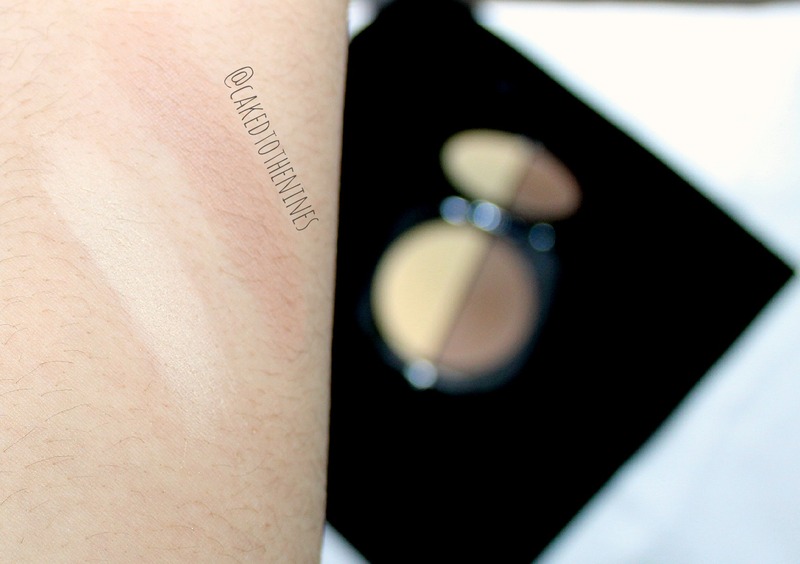 End rant, and back to the Marc Jacobs Contour Powder review! There are three different shades in the collection depending on your skin tone. I picked Mirage since it is for medium skin tones and the yellow highlighting powder suits my olive/ yellow skin tone better. The lighter palette has a pinkier highlighting powder for lighter skin tones and the darker palette has a peach toned highlighting powder for darker skin tones so choose the one that best suits you! The powders are extremely silky and just feel like butter on your skin. It is probably the softest powder I have ever felt in my life, and it is quite pigmented yet still blends out beautifully. There’s nothing worse than a pigmented powder that is extremely difficult to blend out. That is not the case with this by any means. Both powders are long lasting; both lasted around 8-9 hours on me before fading. The bronzer is cooler toned so it is the perfect contour shade. The powders are not completely matte so it doesn’t leave your skin looking dull or flat, but it is not shimmery or glittery by any means. It is very different in my opinion. It honestly has a skin-like look to it so it doesn’t look like you caked on powder. The highlighting shade can get slightly powdery if you apply way too much, but you don’t need a lot so there is no point in applying so much. I like to apply it with the Real Techniques Bold Metals blush brush or the Elf blush brush because both apply powders beautifully and fit under the eyes perfectly. I like to use the Real Techniques Bold Metals contour brush or the contour brush from their regular line that is not as pricey to apply the contour shade. Marc Jacobs does have the Shape Contour and Blush Brush, which I may pick up because it seems like it would be a great versatile brush, and one can never have too many brushes–right? If you are new to contouring, this would be a great place to start because this palette doesn’t have six different shades like the ABH Contour Kit or the Kat Von D Shade Light palette so it is simple to use. Plus the bronzer isn’t warm and orangey so it won’t make you look like a muddy mess. The Good | Creamy, buttery, smooth, finely milled, blends beautifully, nice packaging, and sleek. The Bad | Pricey, packaging is large (and feels a bit fragile) so maybe not travel friendly (but still worth it!). The Verdict | This is great for novice and veteran contour-ers (that’s not a word :P). The shades are perfect for contouring and highlighting since the finish and the colors are very natural. Although it will set you back $49 I do think the price is worth it because once you feel the consistency of the powders you will fall in love, trust me. I swatched it in stores expecting it to feel like a normal powder, but this is just.. I have no words. You really need to feel the powders to understand how amazing they are. WORTH IT. BUY IT. GO NOW. Have you tried this? Do you have a favorite contour palette? Let me know in the comments below!